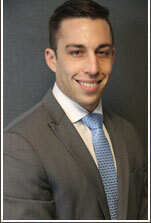 Mr. Rapaport is an associate at Foreman Friedman, P.A. in our Miami office. Born and raised in Miami, Mr. Rapaport completed his undergraduate studies at Florida International University with a Bachelor of Arts in English and a certificate in Professional and Public Writing. Mr. Rapaport thereafter received his Juris Doctorate from St. Thomas University School of Law. During law school, Mr. Rapaport served on the Executive Board of the St. Thomas Law Review. In 2015, as a first-year editor, Mr. Rapaport had the honor of being awarded “Best Staff Editor”. During his law school tenure, Mr. Rapaport was elected President of St. Thomas’s student division of the Federal Bar Association. In April 2017, Mr. Rapaport was selected by the American Bar Association Section of Intellectual Property to serve as a Law Student Reporter for the 32nd Annual Intellectual Property Conference in Arlington, Virginia. Throughout his three-years of law school, Mr. Rapaport gained valuable legal experience clerking for several law firms in the Miami-Dade/Broward area and serving as a judicial intern for the Honorable Judge William Thomas in and for the Eleventh Judicial Circuit of Florida. At Foreman Friedman, Mr. Rapaport handles a variety of maritime claims in state and federal court, as well as arbitration, contributing primarily to Foreman Friedman’s personal injury group.